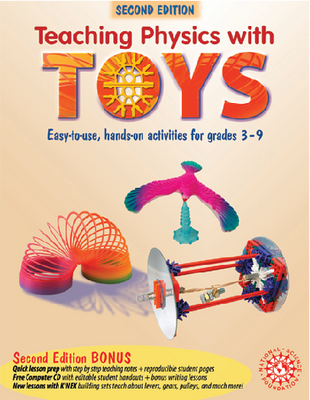 These books are loaded with hands-on activities designed to let students discover common physics and chemistry principles through the use of simple toys. Each activity is clearly referenced to the National Standards for Science Education. Students demonstrate rotational inertia and the variables affecting it using a top and much more. Softcover.